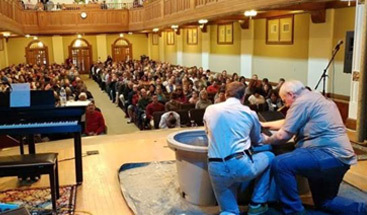 Calvary Chapel practices a “Believers Baptism”. We believe that Baptism is an outward expression of an inward change. For more information or if you are interested in being baptized, click here for instruction sheet. At Calvary Chapel we love your children and want to see them brought up to Love our Lord. An important early step of their journey is to be dedicated. 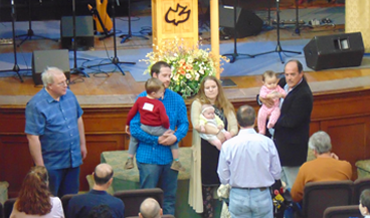 We practice a “Child Dedication” instead of a “Infant Baptism” as we believe that the dedication of children to God and the commitment parents make to raising them according to God’s principals greatly affects the child’s own decision, in time, to have a relationship with God. For more information, click here for instruction sheet. f you are considering getting married at our church, contact us. Please note marriage classes and/or counseling are required to be married by a Calvary Chapel Lebanon Pastor. 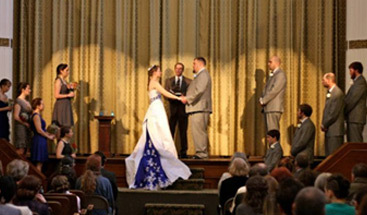 A wedding application will be sent to you or you can access the attached wedding application here.